In the J-Bar Ranch, Center for Experiential Learning, horses and other four-legged teachers help participants improve their literacy and life skills, their self-esteem, and their leadership abilities. Horses co-facilitate the lessons, many of which are about the horses themselves. Participants at J-Bar Ranch learn horsemanship, information about horse behavior, information about horse breeds and about individual horses. But their most important learning is about themselves. Learning takes place in comfortable settings in a barn classroom, around a 60-foot covered round pen and in an outdoor arena, as well as off-site, by contract. NEW: Horse & Reader SUMMER 2016 Registrations Available Now! Horse & Reader Classes for K-8 Youth: Give your child academic enrichment and acceleration, horsemanship and riding instruction through the award-winning Horse & Reader program. Credentialed teachers, small classes limited to 12 students, with a low teacher/student ratio. Gentle horses, a friendly goats, a donkey, chickens, a garden, and a beautiful setting contribute to the learning. Download the informational flyer here. Then, email buzz@jbar.com or call 559-798-1510 for more information, or to check space availability for the camp(s) of your choice. Equine-Facilitated Learning (EFL) and Equine-Facilitated Psychotherapy (EFP) are carefully designed therapeutic interventions in which horses serve as co-facilitators. 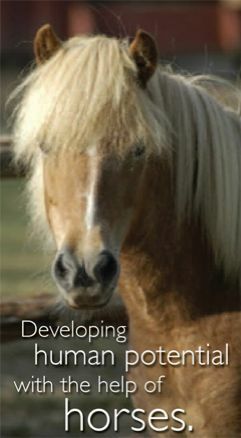 In J-Bar EFL, human members of a facilitation team are professional educators, trained assistants and equine specialists. The goal of an EFL session may be improvement in reading comprehension, writing, science, art, social studies, culture, socio-emotional interaction or other personal growth. K-12 and adult participants in J-Bar EFL may be struggling in traditional classrooms or they may simply prefer experiential learning in the outdoors, with horse and human teachers. In any case, they benefit from high-interest, research-based experiential learning tailored to meet their needs. Horse & Reader and Horse & Writer: Workshops or year-long programs for kids or adults in reading comprehension, writing, creativity and publishing, while participants learn about horses and become skilled in groundwork and/or riding. Particularly effective for helping kids who are not passing required state tests or are failing in traditional classroom settings. Can be custom-designed as autobiographical narrative workshops for adults who wish to write personal or family histories or explore other topics in their lives. There is nothing better for the inside of a person than the outside of a horse.